Our easy-to-use printable post cards come in a wide variety of designs, and are perfect for mailers or other business communications. Glossy or matte finishes available. Baby Feet Post Cards 40pk. 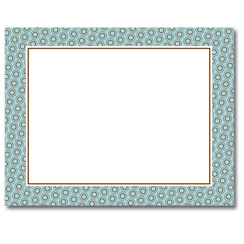 Triple Pearl Border 2-up Post Cards 50pk. Engraved Border 2-up Post Cards 50pk. Blue & Brown Bolts PC 40pk. Black & White Dots Post Cards 40pk. Fresh Slate Damask Post Card 40pk. Party Elements Post Card 40pk. Power Blue Post Cards 100pk.